Do you want to start your own alterations business? Do you want to improve the alterations business you already have? The Alterations for Professionals Series books on CD are exactly what you need. This book on CD is the essential guide to mastering alterations. The book first covers the business aspects you need to know to be successful, prepared, safe and legal. 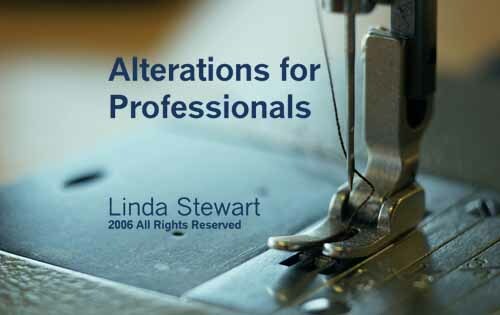 Having an alterations business involves much more than just knowing how to sew. You are now a professional, you own a business and that is where you must start. Home based? Store front? Insurance, taxes, license, pricing and even customer relations are all an intergral part of starting your business. This book covers them all. Techniques covered are those you will face every day. Hems of all kinds including pants, cuffs, sleeves and the myriad of ways to do each. Taking in seams and letting them out, And when to say NO! You will learn to analyze the garment on your client and determine the exact alteration needed. One example: you will learn the proper placement of hems to be most flattering. You will also learn what "add on" services you can offer to increase your profits.. Working with specialty fabrics and lace involves a whole new skill set. Business policies must also be revisited to account for the responsibilities involved in working on much more expensive garments. 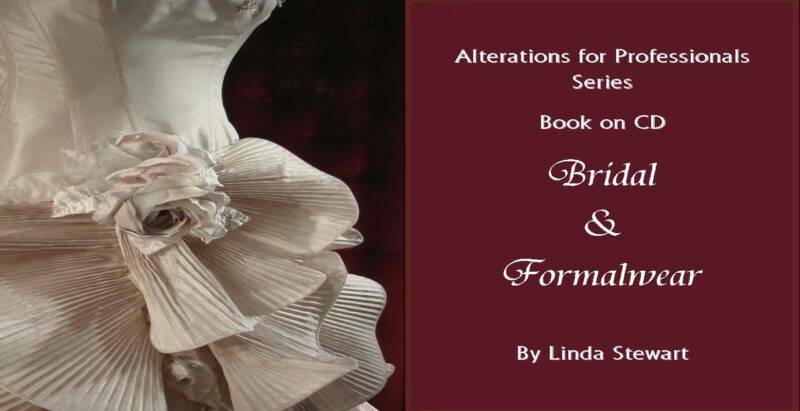 All of this is covered in the second in the Alterations for Professionals Series book on CD, Bridal & Formalwear. Techniques for working with lace, silks, satin, beads, rhinestones, sequins are all covered, as well as special fitting challenges inherant in formalwear and wedding gowns. There is also a section on bustling those wedding gowns too. Both Books on CD have sections on sourcing as well as re-styling.